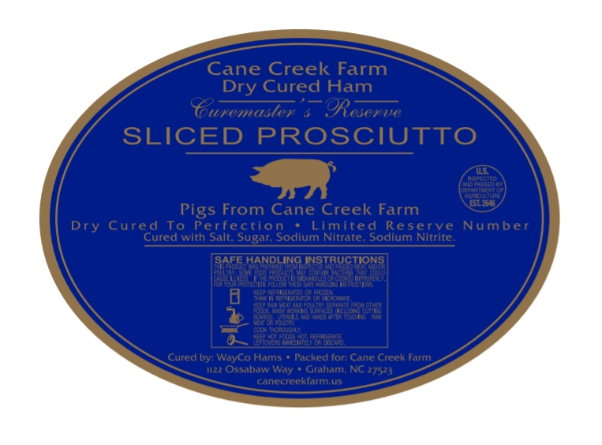 Our prosciutto is made from the Ossabaw Island Hog. The ham is cured for 18 months, thinly sliced, and ready for your fancy dinner party or camping trip. Each package is 4 ounces and they are $15 each. We ship at the beginning and the middle of each month priority mail (takes 2-3 business days). One priority mail envelope is $6.70 and holds 2 packages of prosciutto. Order as much as you like – it keeps for months in the refrigerator and it’s great for gifts. Serve at room temperature. Scroll to the Bottom to SIGNUP!